Enjoy longer sunshine sessions, brighter spaces and more late night fresh air while remaining sheltered and protected at all times. No longer will you have to worry about rain spoiling your party or barbecue, and long gone will be the mad panic to get the outdoor furniture in before the heavens open. 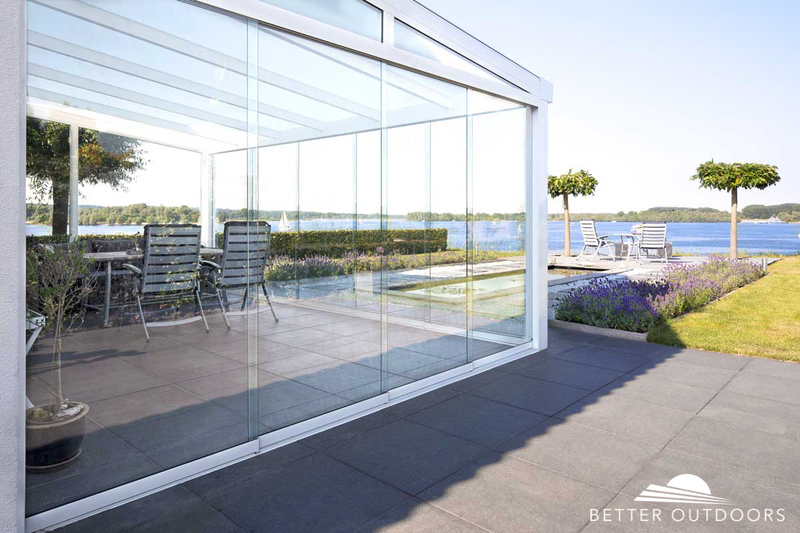 Add glass walls and frameless sliding doors to enclose your veranda and create a full winter garden, allowing you to enjoy your outdoor space in warmth and comfort all the year round. The slimline veranda is an extremely popular option to allow homeowners to get the most out of their outdoor living space. Create a bright and spacious living area that can be used in all seasons with the addition of one of our beautiful modern verandas. 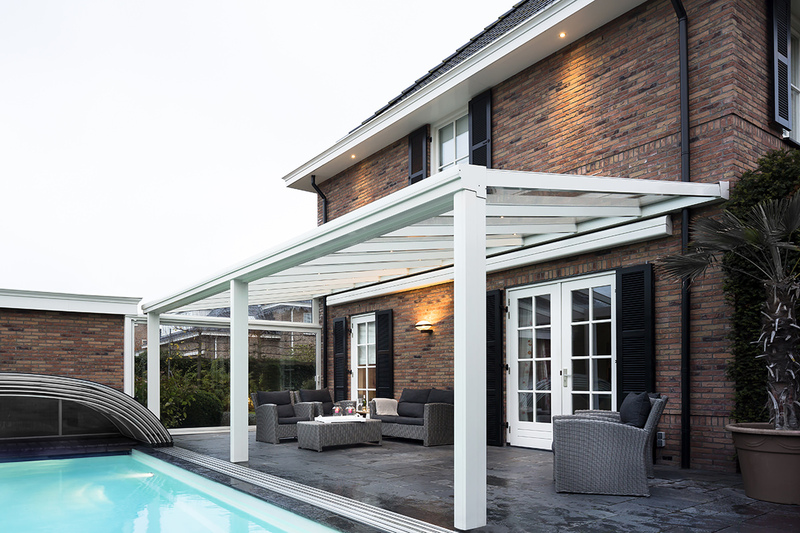 Enhancing the classic veranda, updating the design to achieve its slimline, stylish appearance. 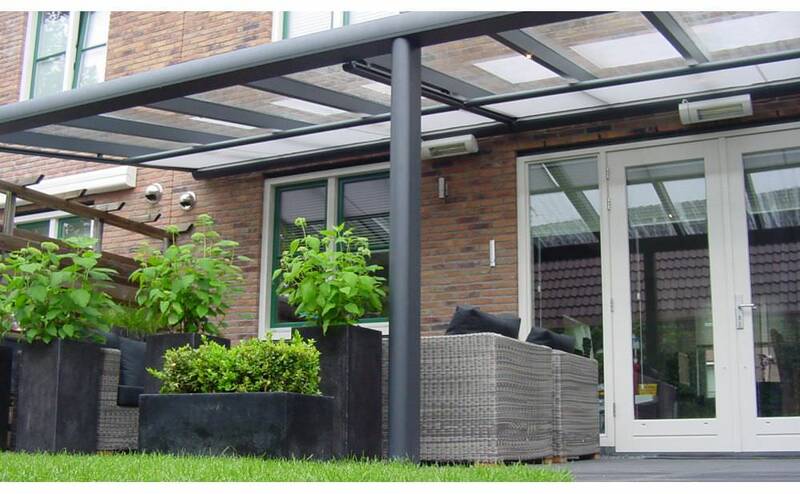 With superior structural integrity of our aluminium verandas, to achieve such a slim, contemporary design. Using hard-wearing powder coated finishes and customisable elements such as glass walls and sliding doors, create a wholly enclosed living space without compromising on its quality. The panoramic veranda offers large, unobstructed views of your garden. With its incredibly robust design, accommodating large expanses of glass walls and sliding doors to achieve its modernised look. Further, adapt your veranda by produced a fully enclosed living space that you can enjoy throughout the year. Featuring a range of gutter and post profiles that can adapt to suit an array of property styles from modern to heritage. Using extruded aluminium profiling, reinforced with a heavy duty steel beam, create an outdoor space with unrivalled views and an unbeatable lifespan. 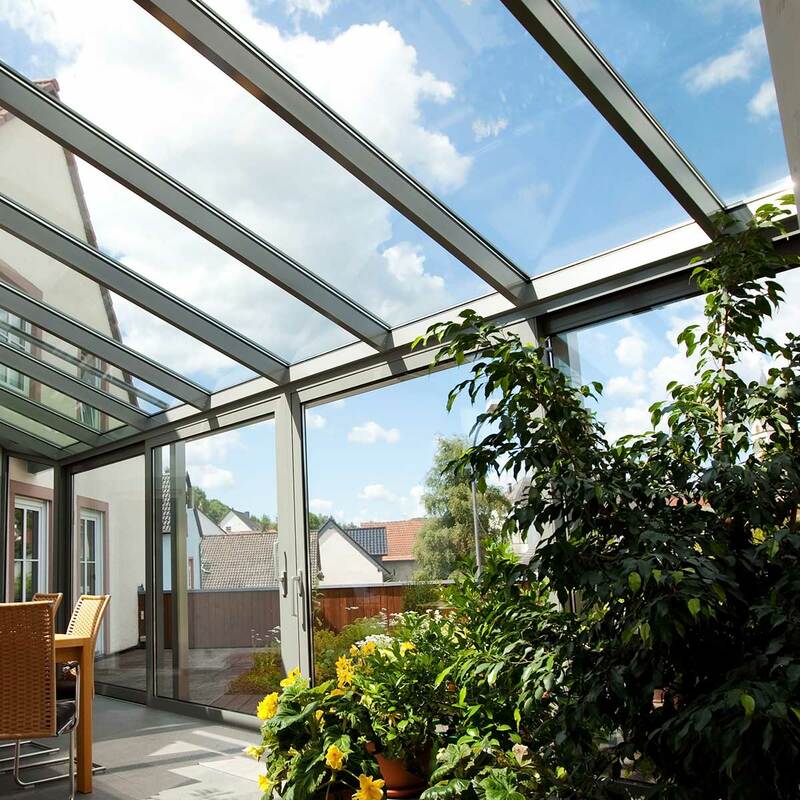 Built to meet industry stands of durability, the panoramic veranda is a worthwhile investment. 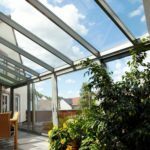 Take a look at our videos that show why the Veranda is such an excellent choice for any patio enclosure and garden room. Introducing two stunning and effortless aluminium verandas, that enhance the look of any style of home. 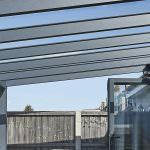 Slimmest system aluminium verandas that outclass other aluminium veranda systems in the industry. 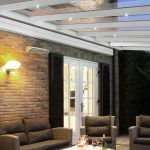 Achieving an impressive post depth of just 173mm with integrating slim gutter profiling, these verandas create a high quality contemporary outdoor living. Featuring the slimmest sightlines, add a touch of class to your outdoor space with our slimline verandas. Our slimline verandas offer exceptional value for smaller verandas and those that do not require wide openings for larger sliding doors. With their enhanced minimalistic design, the slimline veranda can be easily tailored to suit the style and size of your garden space. Well suited to even the most unconventionally shaped outdoor areas. Our powder coated aluminium verandas need little maintenance to maintain high performance. These verandas only need for an occasional wipe down with a damp cloth to ensure that your veranda looks as good as new. Designed to last, our slimline verandas do not have a risk of warping, rotting or bowing due to their robust aluminium strength. Our panoramic aluminium verandas offer a large span, with a capability of holding up to 6 metres with no intermediate posts. Reaching a total of 10 metres in width, our panoramic veranda offers completely unobstructed views of your outdoor space. Pairing a 6 metre opening with 6 metre set of glass sliding doors for an irresistibly stunning view. For a subtle, modern aesthetic, opt for a rounded post and gutter profiling style. Or for an elegant, period property, choose a feature post and victorian gutter profile. Enhance the look of your garden. With a wide-spanning build, utilise the inherent strength of aluminium. Lightweight and durable, aluminium combines full steel reinforcement to create slim and incredibly robust modern verandas design. The panoramic veranda has the highest level of structural integrity, supporting openings and sizes on new levels. Take a look at the brochure below which is available as a download. In this brochure you’ll find the technical specifications for the Veranda. Both our slimline and panoramic modern verandas come with durable polyester powder coating, available in a range of 7 selected colours. Including a variety of contemporary whites, greys and black shades that can be combined with a mixture of metallic, matte or gloss finishes. Specifically chosen to enhance the modern character of your home. Enhance your slimline or panoramic verandas with a wide range of luxurious extras. Ranging from beautifully transparent full glass sliding doors and walls, built in LED spotlights, sleek integrated heaters or privacy blinds. Configure each of these to your exact requirements to create an entirely bespoke veranda for your home in London or throughout the rest of the UK. Finding sufficient time to carry out your home improvement desires can be hard. However, with our industry leading installations, you can receive unique, modern verandas sooner than you think. Revitalise your home and enhance your outdoor living space. Choose our slimline or panoramic veranda and create a gorgeous new living space tailored to your taste. You can contact us today for a free quote for your aluminium veranda. Simply visit our contact page and fill out our online contact form. A member of our expert team will be able to answer any questions you may have. We are happy to recommend or advise on the most suitable products for your needs and requirements. How can I make my verandas bespoke with walls and doors? Custom design your verandas with beautifully transparent full-glass sliding doors for completely unobstructed views. Close off one or more sides of your veranda without spoiling the stunning views with glass walls. Will my slimline or panoramic veranda provide year-round performance? 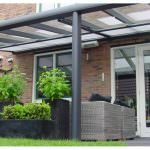 With the addition of modern, elegant electric strip heaters that are designed and weathersealed you can enjoy your pergolas all-year round. Producing a radiant heat with zero orange glow for both people and surfaces. 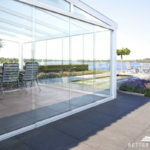 Your glass walls can also contain a thermal film that transforms the glass pane into a transparent thermal heater. Can I add lights to my veranda? Enhance your veranda with an ultra-compact, highly efficient warm-white LED downlights that can integrate into the slim rafters of both the slimline and panoramic veranda. Operate and dim your LED spotlights with the optional remote control or hard-wired to a light switch to control up to 12 spots. Can my veranda be designed for privacy in my garden? Our robust, motorised external blinds from leading German manufacturers can create privacy shield your garden from the wind. The vertical blinds are tensioned to withstand high wind pressures, designed with a high level of durability in mind.